Liverpool are faltering at a crucial juncture of the season yet again. A 0-0 draw in the Merseyside derby granted Manchester City the opportunity to climb back to the top of Premier League table. The Citizens are with 71 points from 29 games, one ahead of Liverpool who sit in the second place. The Reds had the chance to go 10 points clear at the top of the table a couple of weeks ago, but now, they will be chasing Pep Guardiola's 'Centurions'. Of course, Jurgen Klopp's men are doing better than they did last season and proving to be worthy competitors for the title. They have lost just one game in the Premier League throughout the season, yet there is a sense of tension after four draws in six Premier games. Even last season, Jurgen Klopp's red warriors were doing exceptionally well in the Champions League until they succumbed against winners Real Madrid in the final. Two huge blunders saw them losing again at the most pivotal stage of the competition. In the last few seasons, Liverpool came close to winning the Premier League once under Brendan Rodgers but another crucial 2-0 defeat against Chelsea at a pivotal time saw them giving away the title in 2013/14 season. Evidently, Liverpool often finds themselves a distinct lack of confidence to lead till the finishing line. 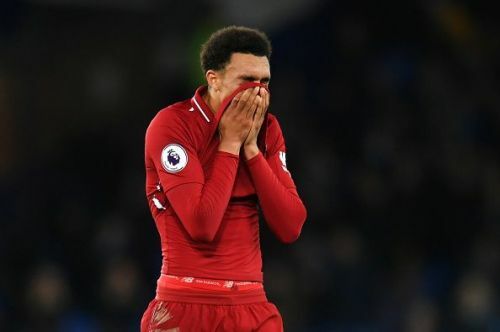 Let us quickly explore the reasons for Liverpool's choking at crucial junctures of the season, which may be the reason if they fail to win the Premier League this time around. The most prominent reason for Liverpool's abrupt choking at crucial stages of the season remains the failure of the squad's biggest players to step up. Steven Gerrard, who is regarded as one of the best midfielders ever to play in the Premier League history, will also be remembered for his infamous slip in their 2-0 loss against Chelsea in 2013/14 campaign. The former Liverpool captain was one of the senior players in the squad and stepped up for the Reds throughout his career, yet, his abrupt slip will haunt him throughout his life. Even the performances of ex Liverpool star, Luis Suarez, was off the mark that day although the sharpshooter had a great season. 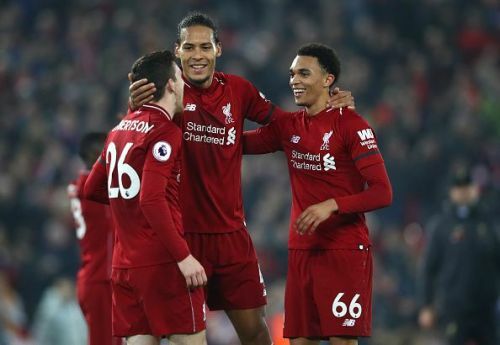 This time around, it seems the famous Liverpool attacking trio misfiring is one of the reasons which set the odds in Manchester City's favor. Mohamed Salah, the best player of the Premier League last season, has been inconsistent in the crunch ties in the league so far.